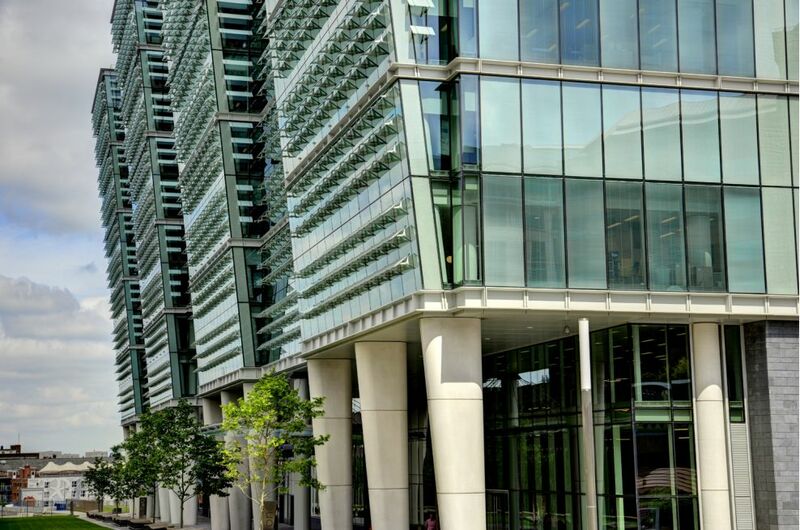 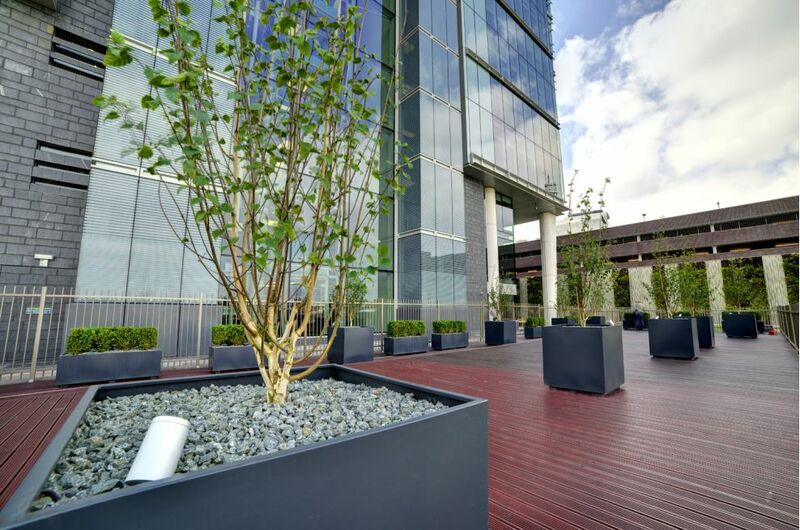 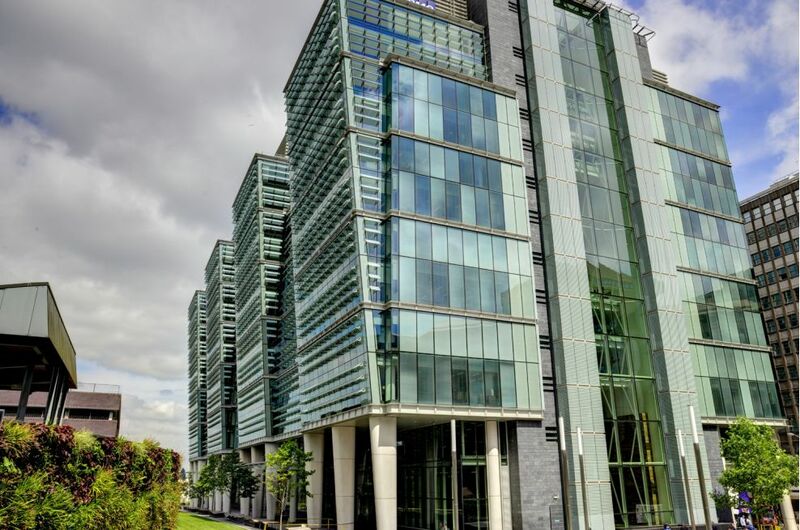 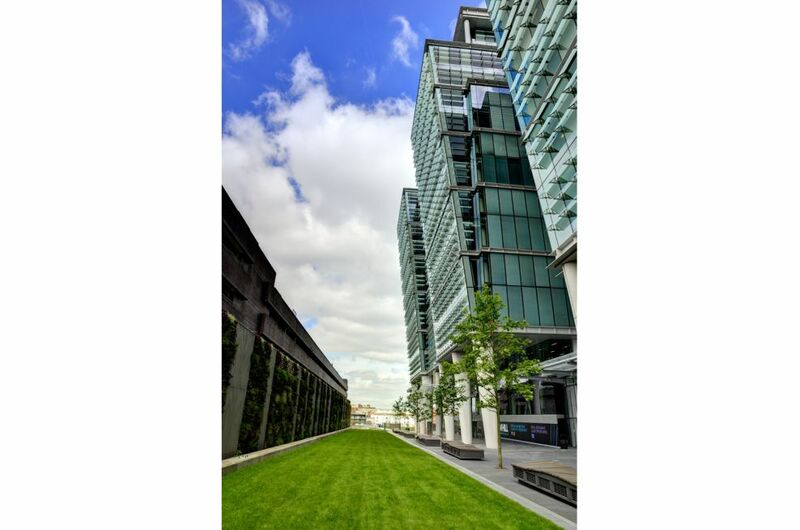 Bespoke powder coated steel planters were commissioned for Snowhill, the largest and most prestigious development in Birmingham's central business district. 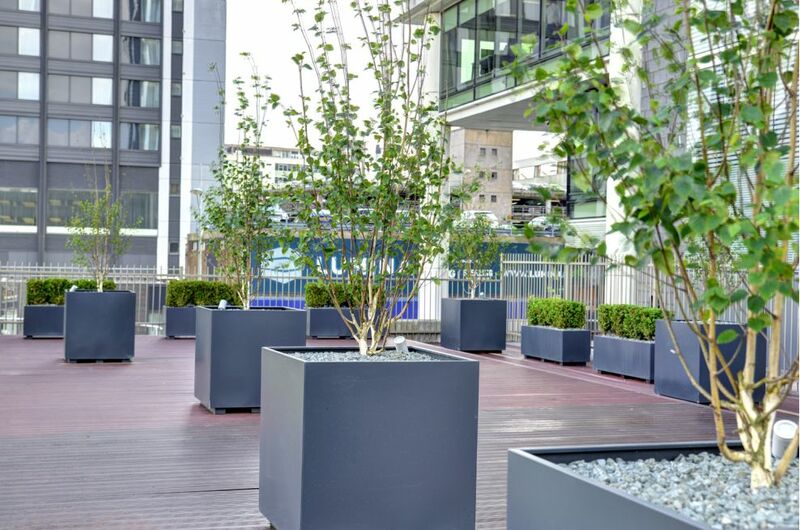 A total of 25 contemporary planters were supplied, comprising 12 large trough planters L 1500 x W 500 x H 500mm, and 13 tree planters L/W/H 900mm. 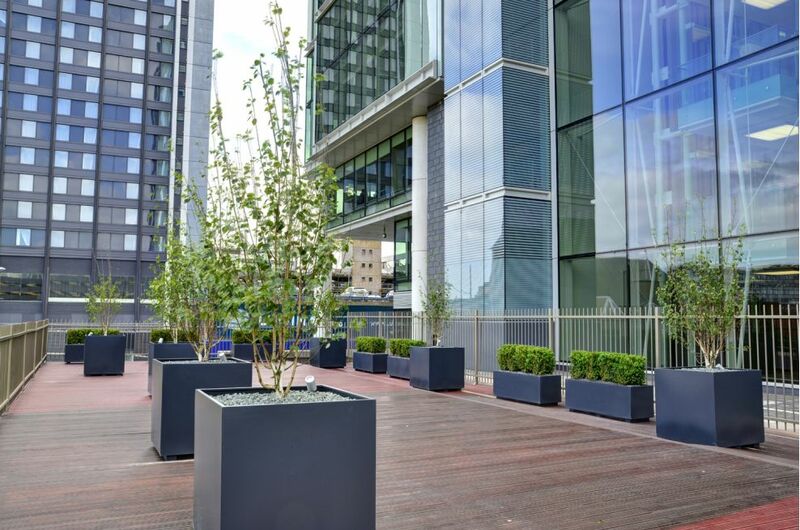 All planters included a 75mm deep integral reservoir system at the base; runners to enable movement by pallet truck; and all were powder coated to RAL 7016 [Anthracite grey]. 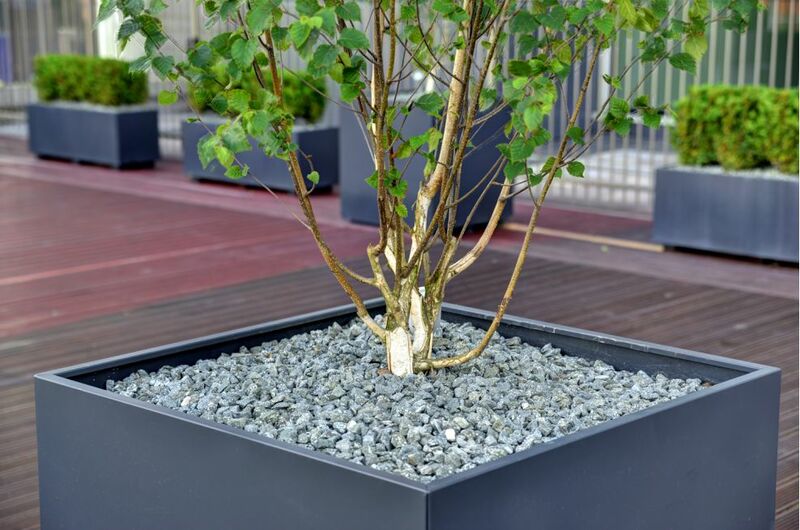 In addition, the tree planters also included steel eye bolts in the base, to act as tree anchoring points; and an extra hole in the base, supplied with a grommet, through which an electrical cable was passed connected to a soil-level uplight. 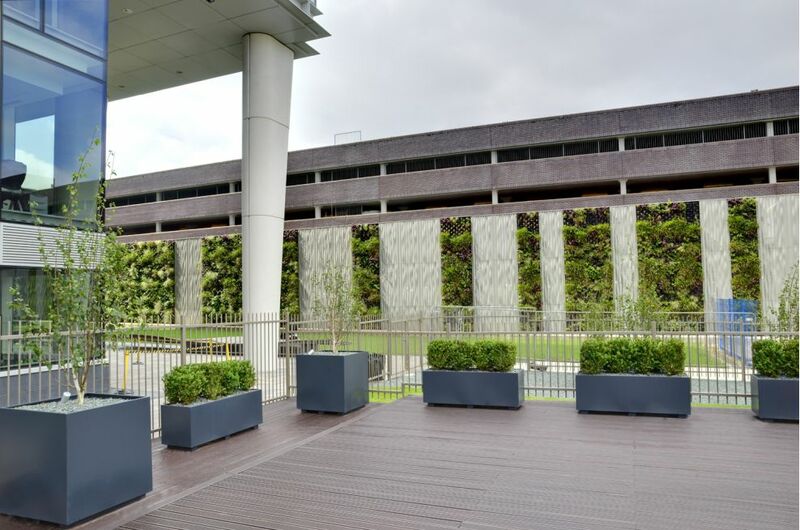 The large garden planters are used to green a decked outdoor terrace, overlooking a landscaped area on the site of what will become the final phase of the development: THREE Snowhill, a 15-storey mixed-use building comprising 250,000 sq ft of office floorspace, leisure and conference space, as well as shops, restaurants and parking. 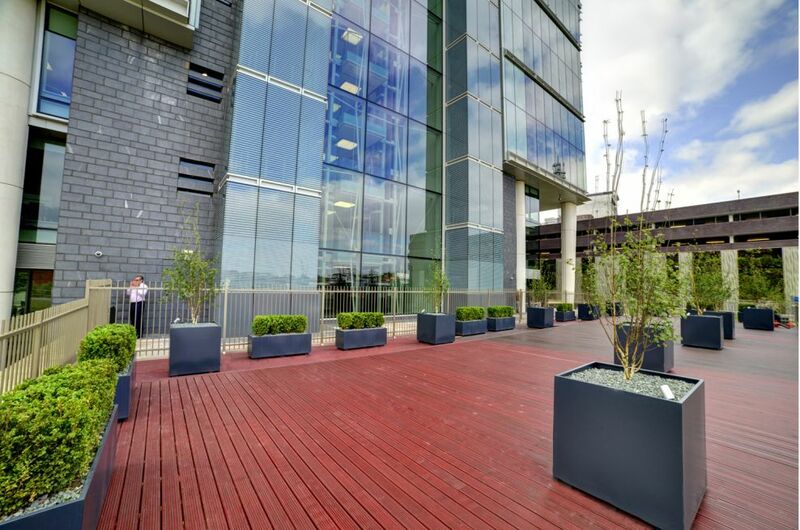 As the landscaping scheme is planned to have a limited life [2-5 years], the planters were fabricated in a basic ‘seamed’ construction (i.e. 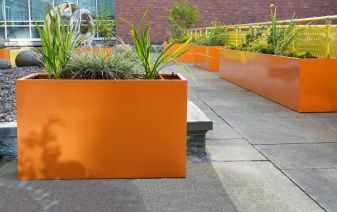 the corners and rim edges are sealed watertight internally, but are not faired externally, so the seams are visible). 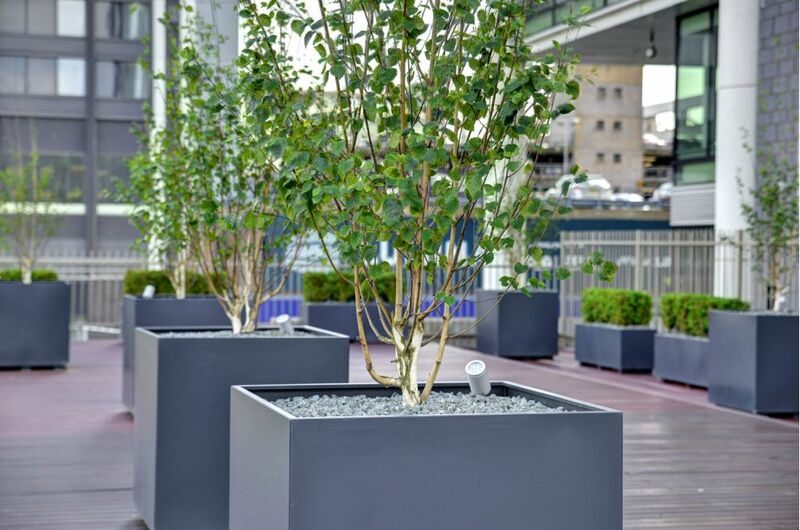 This is a cheaper option than the higher-quality ‘seamless’ construction, where all corners and edged are fully-welded and faired prior to powder coating. 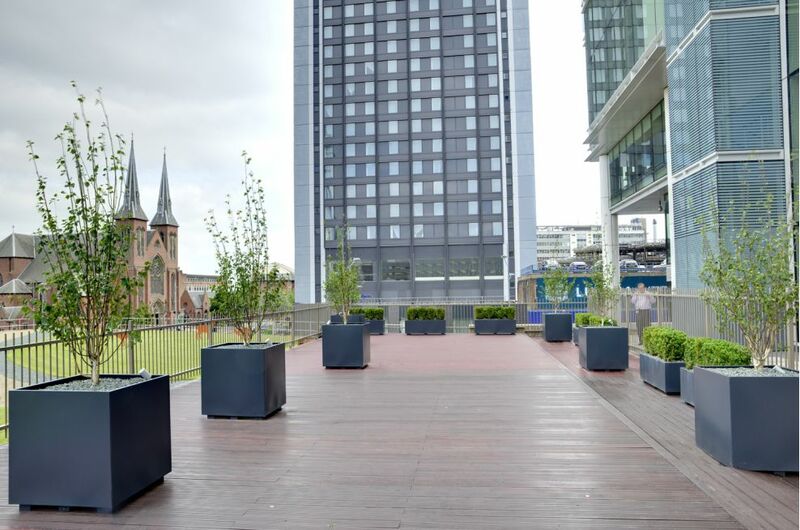 The planters were specified by landscape architects Hyland Edgar Driver, and were commissioned and installed by landscape contractors Gavin Jones (Midlands) Limited.